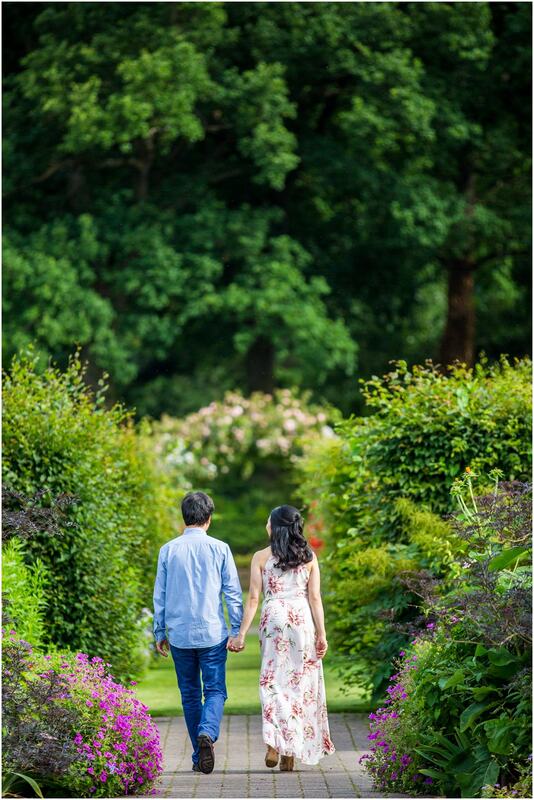 Call it what you like, an engagement shoot or a pre-wedding shoot, I just love doing them! 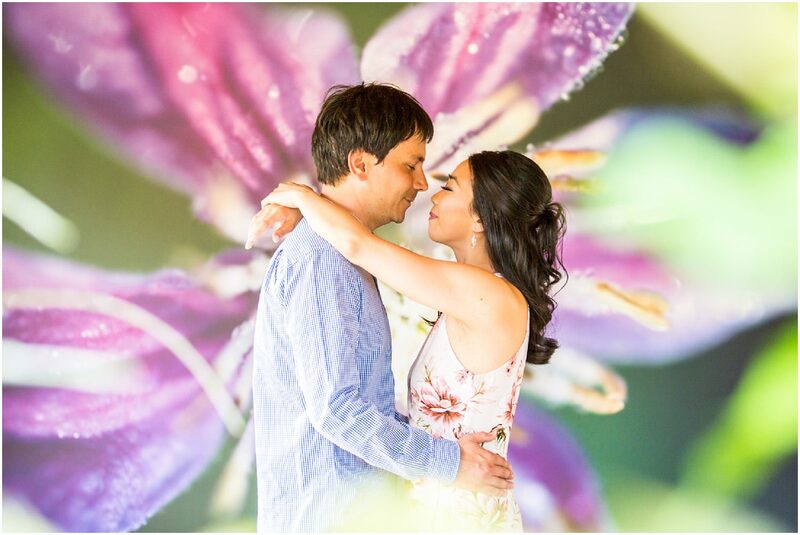 I certainly have fond memories of this shoot with Chris and Liz! The day we were meant to meet for the shoot, the weather was so atrocious!! It was raining cats and dogs and I had to have the lights on indoors for most of the day. It didn’t even feel like a July summer day. 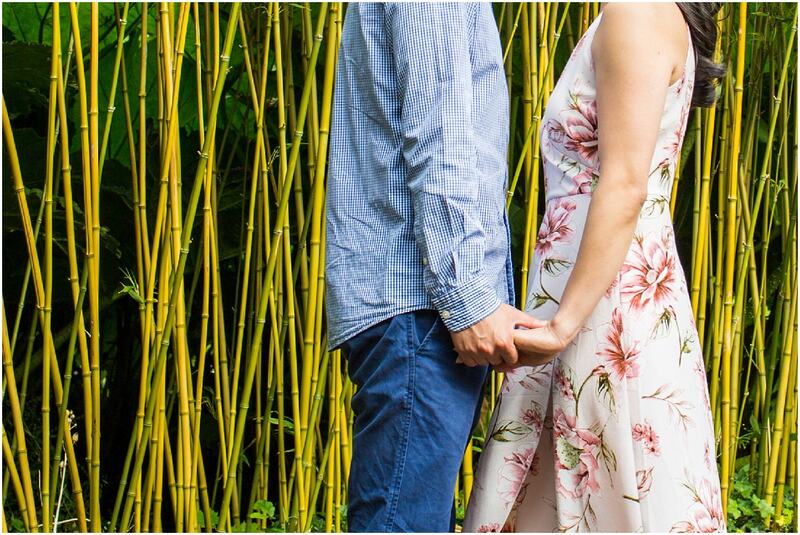 It really was not conducive to having a photoshoot and we had no choice but to reschedule. Roll on another week and it stayed dry for our rescheduled date. The sun came out and everything went according to plan. 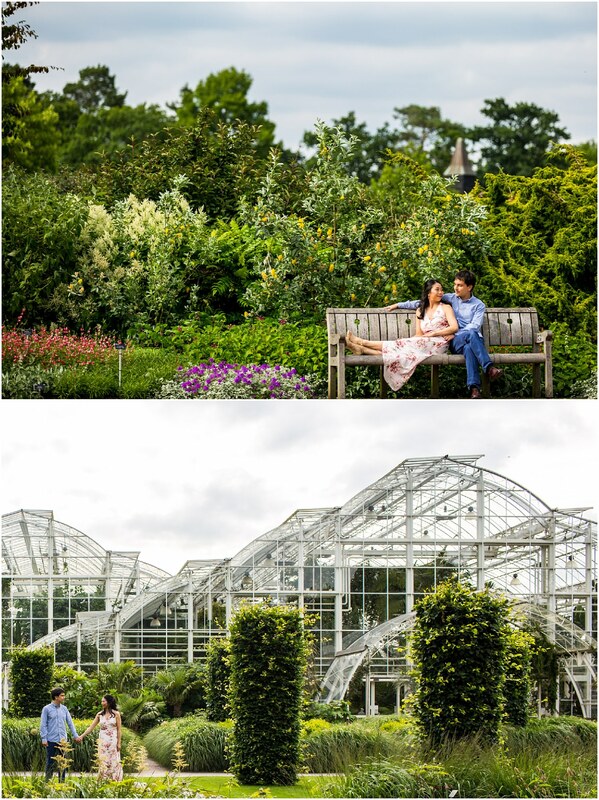 Chris and Liz chose the beautiful Wisley Gardens as the location for their pre-wedding shoot and we had a great time exploring and chatting whilst I photographed them. 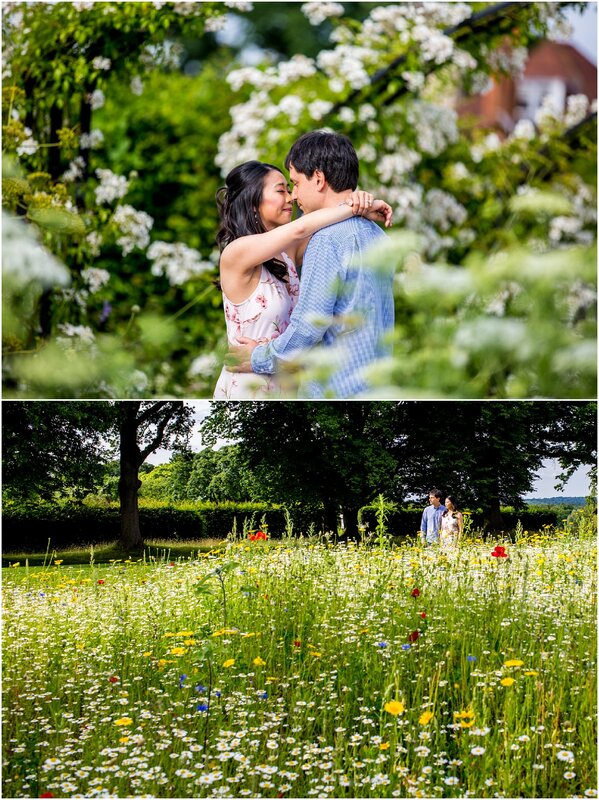 There are so many beautiful places at Wisley Gardens and the roses and wildflowers were spectacular. 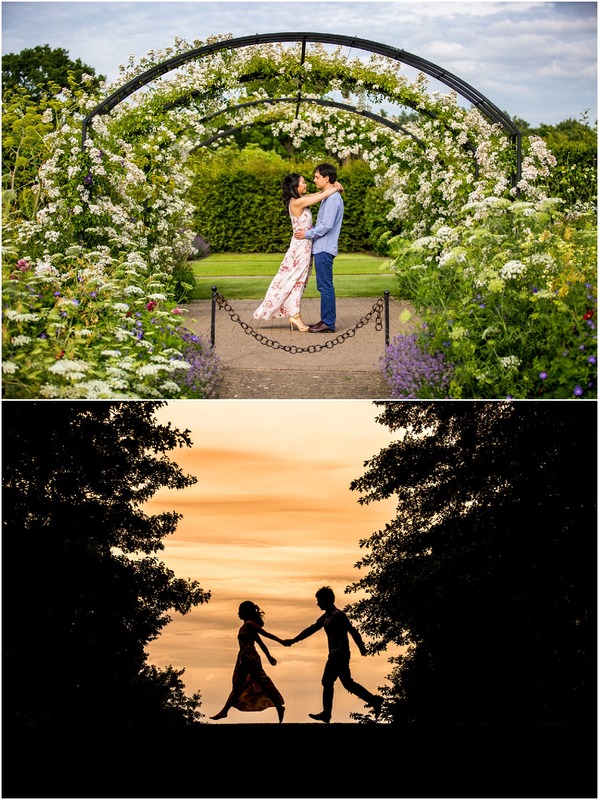 Towards the end of the shoot, I asked them to run along the top of a hill for me and the silhouette shot we created is a firm favourite of mine.